“Assad will run again… America will go along.” That's what renowned Lebanese political analyst and journalist Sami Kleib writes today for Beirut’s daily al-Akhbar, which speaks for Iran, Syria and Lebanese Hezbollah. The article penned by Kleib, who formerly worked for Aljazeera but is now news director of the pro-Iran Al-Mayadeen TV, features simultaneously this morning on Syria’s online daily Champress as well as on the news portal of Hezbollah’s Al-Manar TV. Better still, Kleib is married to former Aljazeera anchorwoman Luna Shibl, who now serves as media advisor to President Bashar al-Assad. It is almost inevitable that Assad will again run for president come mid-2014. He won’t be standing down, or renewing or extending his term. He links his candidacy to the yearning of the people. He is also convinced renewal of his presidential mandate will happen. American circles handling Syrian affairs are convinced Assad will run and win. It is consequently imperative to look for a credible way out to justify any likely American u-turn in Geneva or elsewhere, but not instantly. The Americans tried long and hard to convince Russia and Iran to press Assad to leave office at the end of his current mandate next June. They offered keeping the régime and state institutions unchanged and suggested replacing Assad by an Alawite figure. Moscow and Tehran would have nothing of that. Brahimi replied the first time he broached the subject he found Assad “flexible.” The second time Assad refused to discuss the matter saying the Syrian people decide on this. On his third visit to Damascus, Foreign Minister Walid Muallem advised Brahimi not to raise the matter as a precondition for the meeting. Brahimi did as told. The Americans’ problem is how to save face after repeating for two years that Assad must step down. All the above was before the world powers reached an agreement with Iran on her nuclear ambitions, prior to the outrage against the Iranian embassy in Beirut and ahead of the agreement between Baghdad and Washington to shore up Iraqi Premier Nouri al-Maliki in his war against Jihadists and DAESH. Since all issues revolve around the war on terrorism, the matter is bound to top the Geneva-2 agenda. 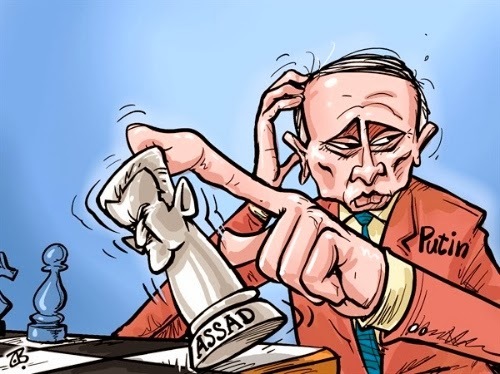 This is to say the “Game of Nations” over Assad’s future will remain in full play well past June 2014.